Easy to make, Pressure Cooker Orange Glazed Pork Chops are tender with a warm orange cinnamon glaze. This is an easy “dump it all in the pot” comfort recipe and will make you feel warm and cozy all over. Easy to make, Pressure Cooker Orange Glazed Pork Chops are tender with a warm orange cinnamon glaze. This is a comfort recipe and will make you feel warm and cozy all over. What could be better than a dump everything into your Instant Pot or Pressure Cooker recipe and push the button? Consider making grabbing a FoodSaver Vacuum Sealing System and making freezer meal packages and then just pull a package out of the freezer. 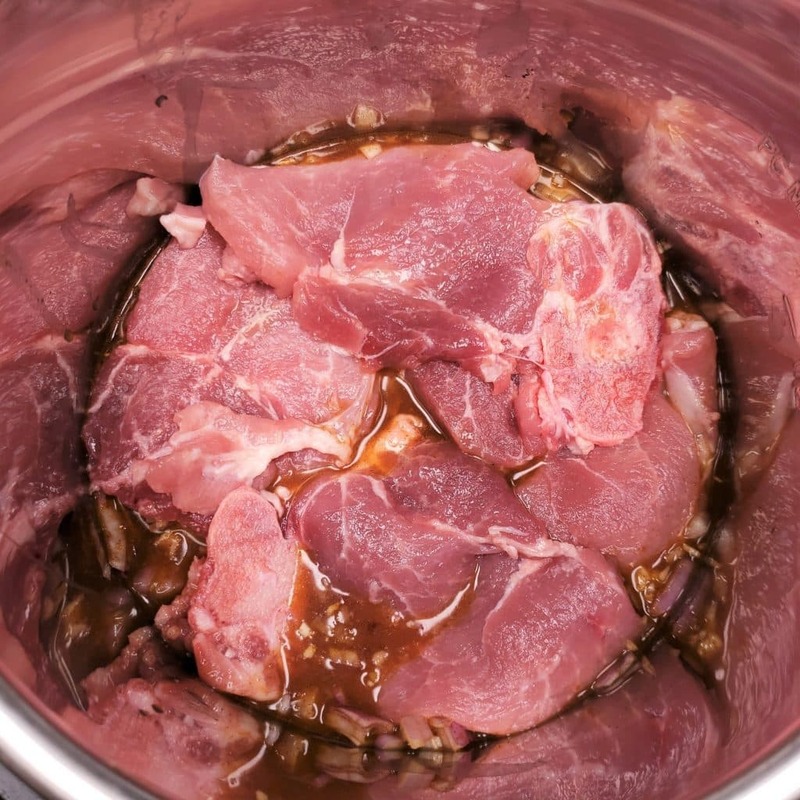 By the time the pork thaws, your pork will have marinated and the flavor after cooking, will be even better! In a manner of minutes, your prep work will be done and your dinner will be cooking! 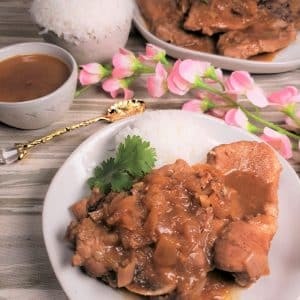 What are the Ingredients for Pressure Cooker Orange Glazed Pork Chops? You probably already have all this stuff in your pantry and refrigerator, right? 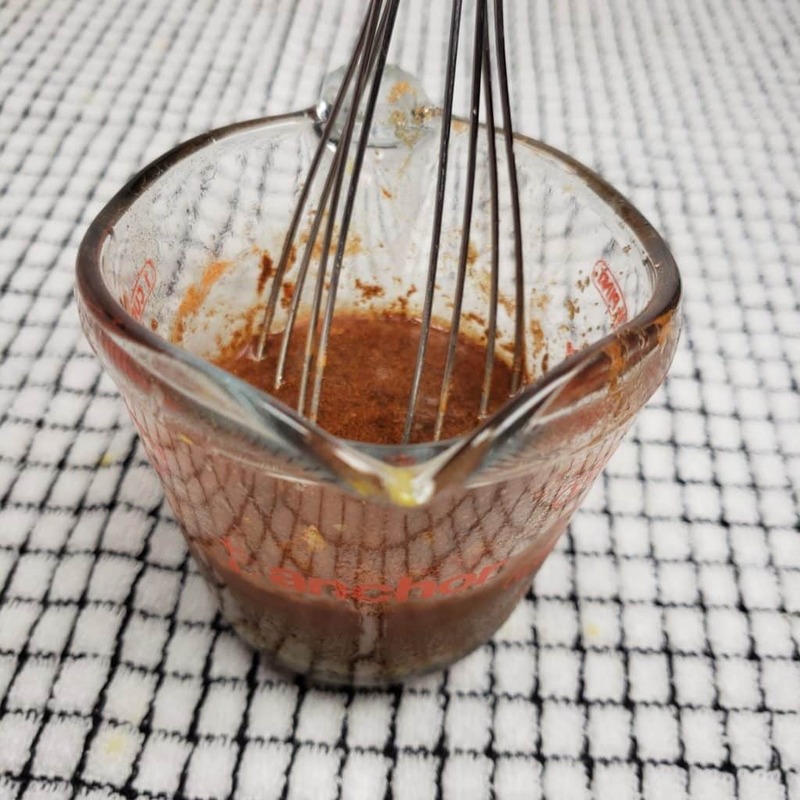 All you need is a Liquid Measuring Cup and a Whisk. I like to measure by pouring the ingredients into the measuring cup and then adding the next and so on. Makes clean up much easier. If you switch out the shallot for an onion, make sure you mince it very fine, since there is such a short cook time. 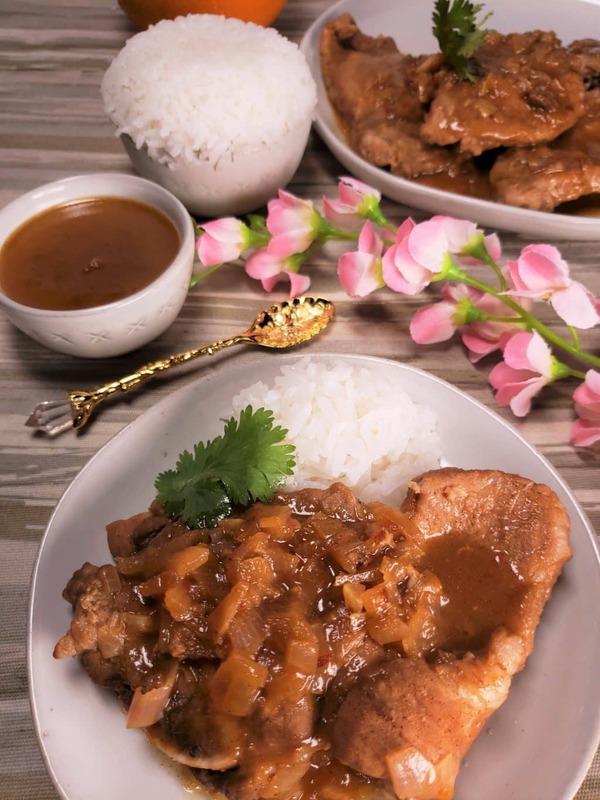 If you want a sweeter and thicker sauce, add another tablespoon or more of brown sugar. What is the difference between a shallot and an onion? They are both members of the allium family. Shallots are sweeter, richer and more potent than onions. Similar to garlic, shallots grow in clusters and their bulbs are attached at the base. Imagine if a red onion and a garlic got together. Kind of. While they are more potent than onions, shallots lack that bite, so they work especially well in dishes where they are only slightly cooked or can easily be eaten raw. They work great in salads! 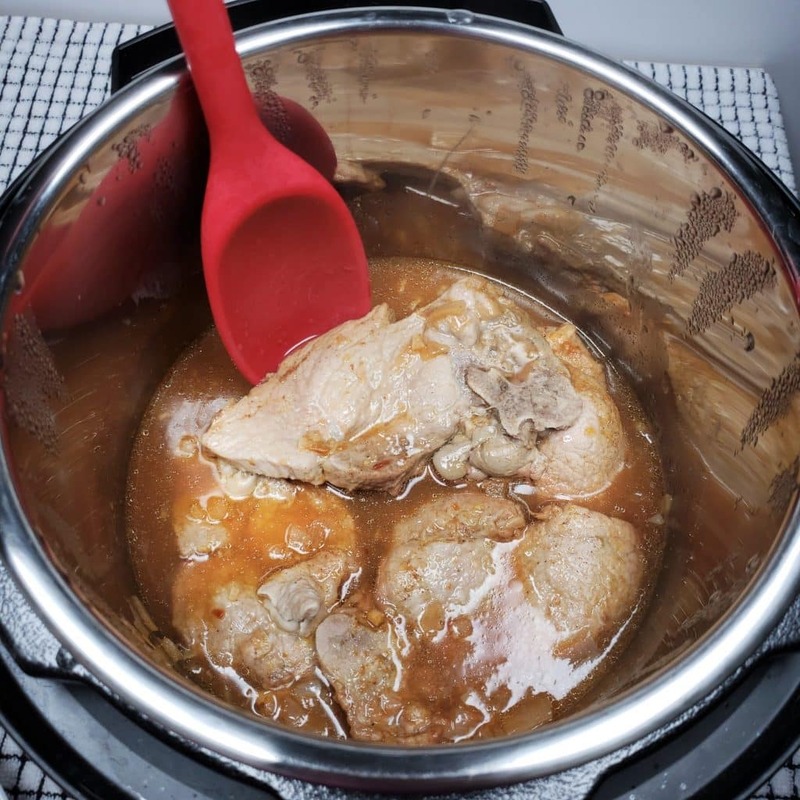 What Size Pork Chops are Best for Instant Pot and Pressure Cookers? Pork chops cook so fast and you don’t want them to over cook. 1/2 inches to 3/4 inches are the best for recipes with an under 5 minute cook time. If searing the pork chops first, your timing will vary, depending on the recipe. Why use bone in pork chops? Pork chops are naturally quite lean. The meat closest to the bone generally has the most flavor. The bone itself, will add nice flavor to the dish. The Orange Glaze Sauce will reduce down and thicken, while the chops are resting. For a creamy version, try adding a little heavy cream. 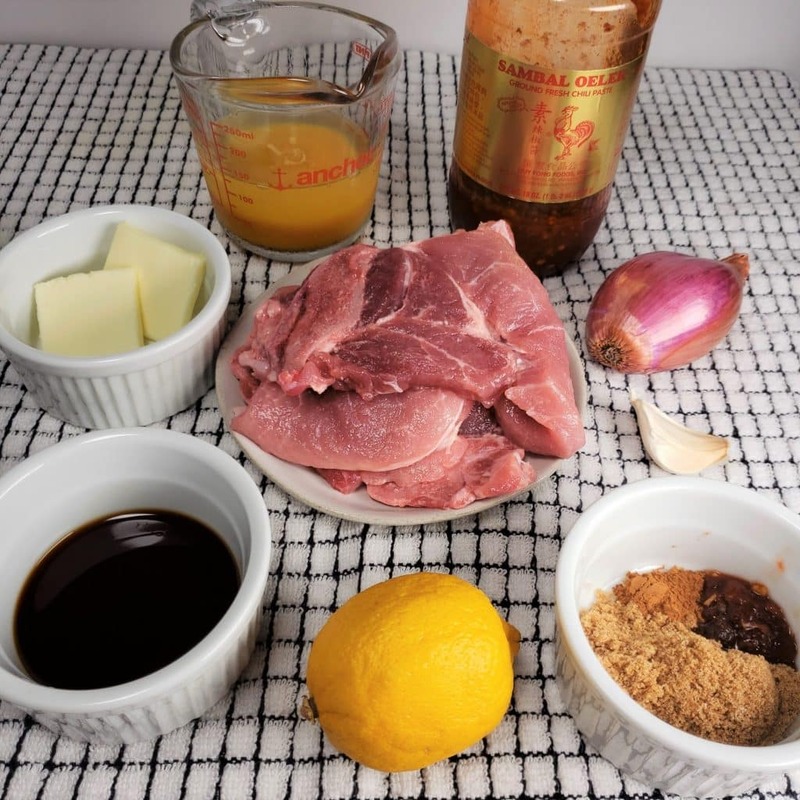 What are Side Dishes for Orange Glazed Pork Chops? 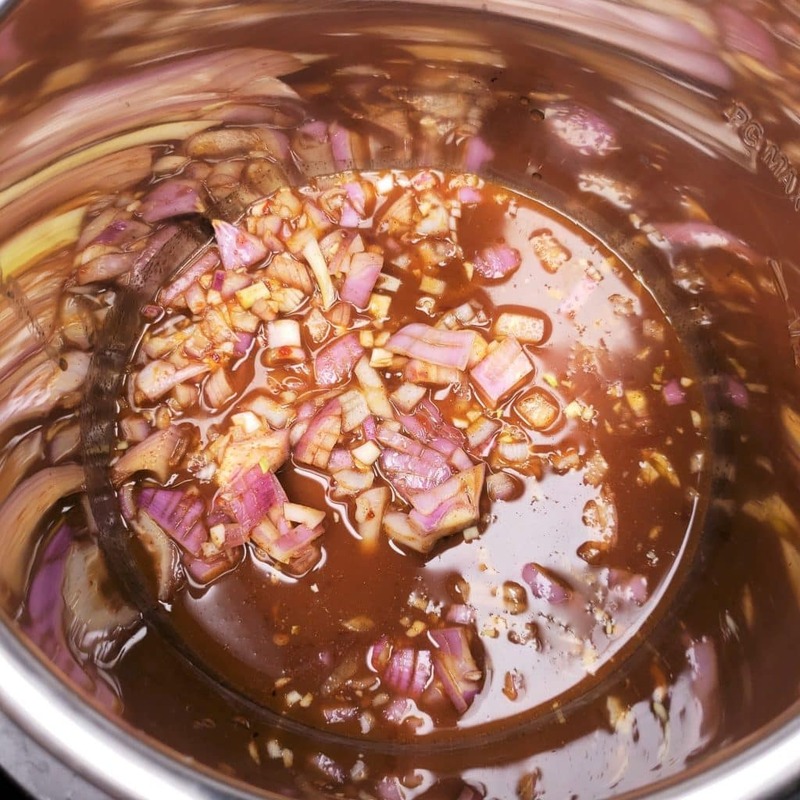 Whisk together sauce ingredients and add to your pressure cooker cooking pot, along with shallots, garlic and pork chops. Lock on lid and close pressure valve. Cook at high pressure for 3 minutes. When beep is heard, wait 10 minutes and then release any remaining pressure. Remove pork chops to a bowl and cover. 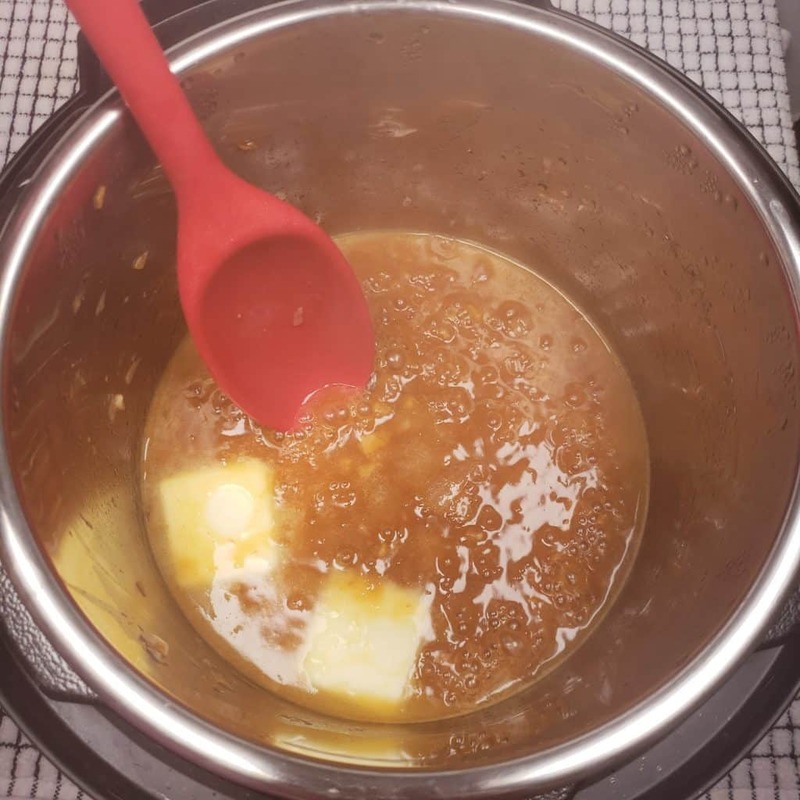 Stir butter into pressure cooker and simmer to reduce the glaze. Plate pork chops and drizzle the glaze over pork chops. PIN this Pressure Cooker Orange Glazed Pork Chops! 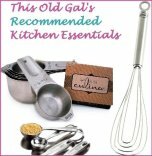 Can I substitute the brandy with chicken broth? Is there anything I can substitute the chili sauce for?